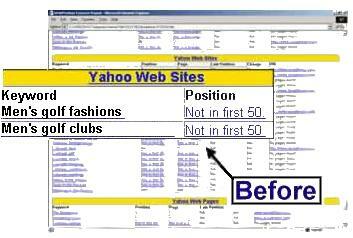 Achieving a high ranking on the Internet search engines is like having the best advertising bargain imaginable. Think about it this way, of the millions of searches conducted each day, the sites that appear at the top of the search, essentially get free web site promotions. The visitors to those sites are more likely to purchase products and services since they were specifically searching for that information. Internet marketing SEO (search engine optimization) provides a very low cost of Internet advertising with a probable high rate of return, giving you an excellent Return-on-Investment. 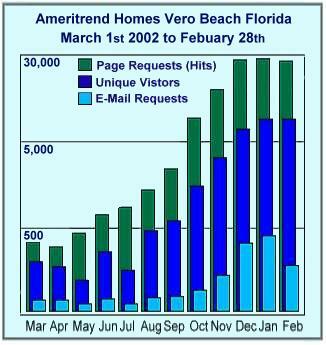 As you can see, within ten months of our campaign being implemented in March 2001, site traffic increased by an incredible 1447% from approximately 18,000 visitors to over 195,000 visitors per month in December 2001. Search engine referrals now account for 63% of all site traffic, a factor our client attributes entirely to the impact of Web Rank's search engine optimization services. What's even better is that all this extra traffic is highly targeted, having found the site by conducting a search using keywords and phrases directly related to our client's products and services. 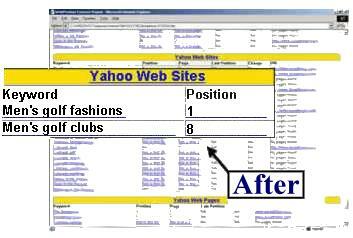 Surveys show that over 85% of internet users find new Web sites by using search engines. Traffic you receive from search engines is already targeted. Visitors arriving at your site from search engines have entered a keyword relevant to your site, so they are already interested in your product or service.